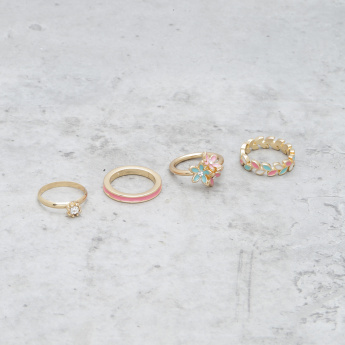 Make a lovely addition to your jewellery collection by updating it with these lovely rings. Among these four rings, two sports dainty studs while other exudes elegance. These alluring rings are great for regular use.